This post, I'm still discussing Blender. And of course I discuss how to use mockup in Blender. Previously I have discussed the 3D logo mockup tutorial in Blender. Maybe in that tutorial, you're still having trouble using the 3D logo mockup. This is felt for beginners who just knew Blender. Never mind, do not worry. You should first learn the basics using Blender. For a while I do not have that video on my channel. But on the other channels many discuss it. Because Blender software has been widely recognized by major studios. Okay, let's look at the final result for the business card mockup below. Maybe you are wondering if it is like 3D Logo Mockup in Blender like in previous post. And it is not, here the way is very simple. 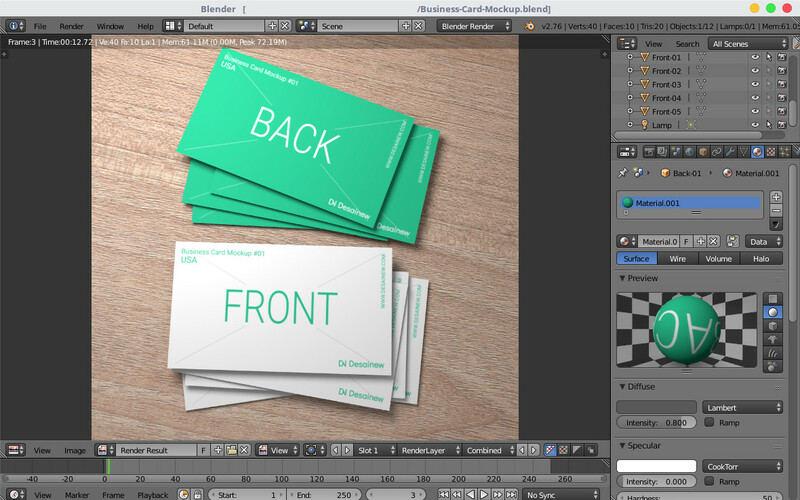 We just replace the texture of your business card in PNG format, then render. So the way is very simple. In this mockup, you still do not rearrange the lighting and shadows. Because I have set so the results are quite realistic. And I hope your judgment is the same as mine. 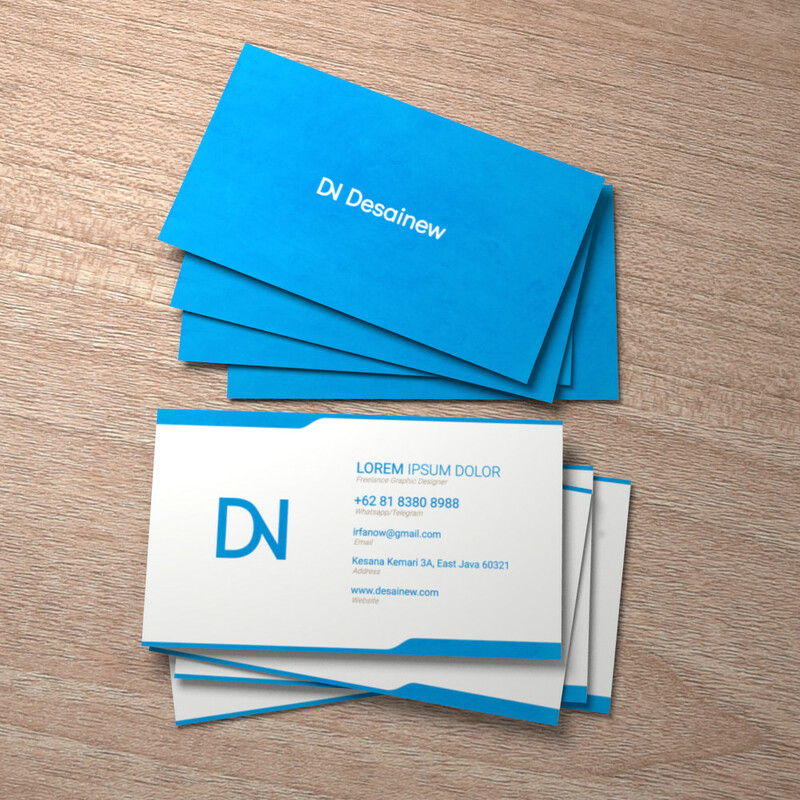 To use the business card mockup file, I've included the download link of business card mockup in blend format below. After you download the file. Then extract the file, and open the blend file. Next you remove the default texture and replace it with the texture of your business card design. and the last step is rendering. To know more details of the tutorial, I have included my youtube channel link. So you better watch the tutorial. Okay, I think just this post here. If you are still having trouble following my tutorial. You can ask in the comment field below.